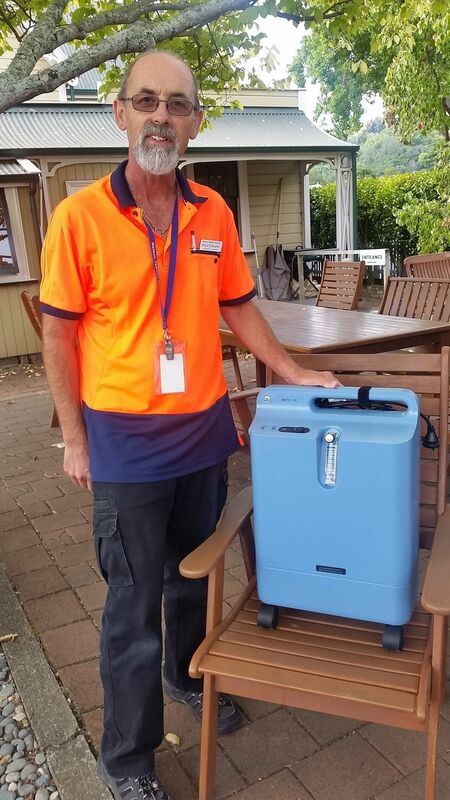 Dry July has funded the purchase of 3 humidifiers for Christchurch Hospital. These machines provide for earlier alleviation and minimisation of the radiation therapy side-effects, preventing dryness in the nose and mouth and can reduce the need for hospital admissions. 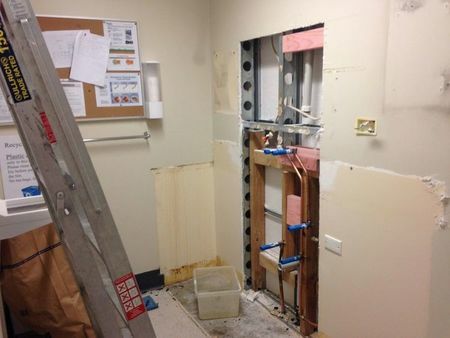 Southern District Health Board are putting funds from a Dry July grant towards 'Operation: Project Comfort'. This includes a new in-patient ward kitchen, free standing information carousal in out-patients ward to hold survivorship, wellbeing, and other helpful information, treatment chairs for in-patient area, couches in radiation out-patient area and iPads in the oncology/haematology day unit and clinics to help with patient education. 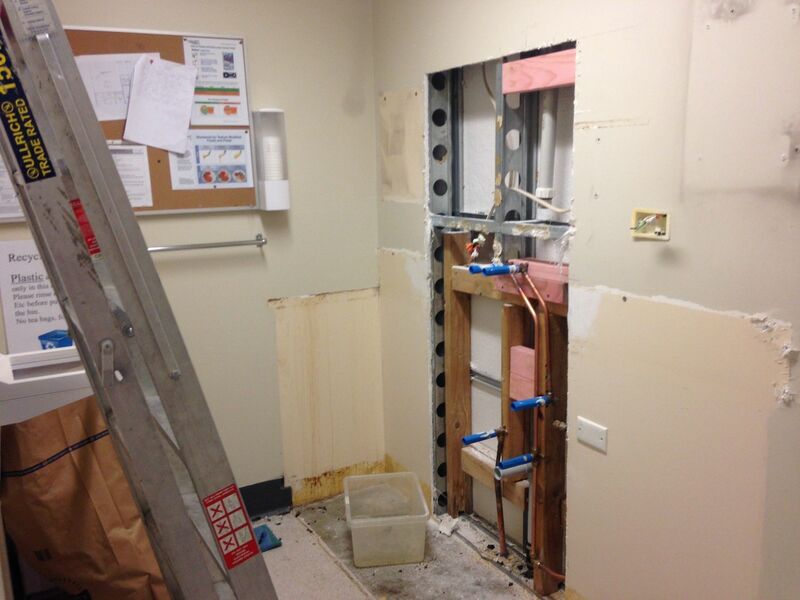 Work has begun on the in-patient kitchen (pictured) with the existing area being made ready for installation. This will include proper shelving and cupboards as well as a dishwasher and bright and lively paint work. Watch this space! We will post updates as they happen. 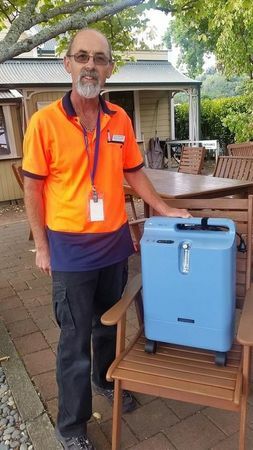 Dry July funds have provided equipment to assist patient comfort at Nelson Tasman Hospice. The purchases included an Electric Lifter Chair for use in the in-patient unit and two oxygen concentrator units to go out to the community. The oxygen concentrators are compact units used to deliver oxygen to those who require it. Whereas a tank has a set amount of oxygen that it dispenses, a concentrator filters in air, compresses it, and delivers air continuously. The air supply will never run out. This allows patients to breathe easier and sleep better as they are not fighting for every breath. While symptoms such as shortness of breath are being effectively managed in patient's home, they can remain in their homes for longer, often right through to end of life, if that is their wish. The Galbraith Infusion Centre opened to patients on Valentine’s Day. It is a huge step forward for Counties Manukau Health at Middlemore because previously, all their cancer patients had to travel to Auckland for treatment. While the service will be initially restricted to Herceptin treatment for those who have finished chemotherapy, it will rapidly expand to also offer clinic space, treatment rooms and chemotherapy infusions. Dry July has played a major part in this funding $36,000 of the $117,000 cost of the project. In the picture are two of the four infusion chairs we have in place, alongside Lazyboy chairs and armchairs, so that there is the ability for patients to choose the device they find most comfortable. 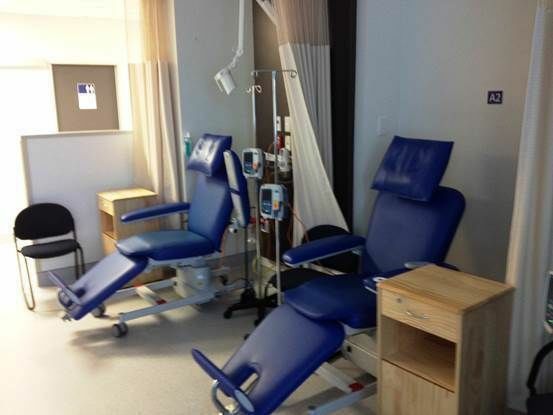 The infusion chairs are $6000 each. After two months of chemotherapy treatment, Lois Walton is in a good position to be able to rate the new chairs purchased with a Dry July 2016 grant. "They're very, very comfortable, mould your body, are easy to adjust, and you can put your feet up. It can make the chemo process a lot easier while you're sitting there." Other items purchased include a daily subscription to The Press, toys, an information stand with brochures and flyers about health services and support, coffee machine, microwave oven, ipads and headphones for the use of patients and family members. Pictured: Oncology nurse Bernadette Burrell and patient Lois Walton check out one of the new chairs funded by Dry July & Oncology Nurse Mary Marr sets out the new coffee station.